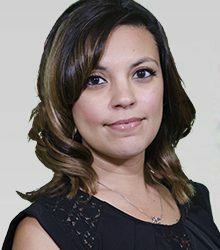 Michelle has worked at Texas Title for 1 year and 6 months, she is an Americas High School Graduate and has attended EPCC, she has an Escrow License and a Public Notary. She shares her perfect life with her funny husband, 2 very handsome sons, one beautiful little diva and Hamburger, Danza and Sugar their 3 dachshunds. She is the Escrow Assistant to Marie Cooper and looks over every one of your documents as intently as she stares into the dreamy eyes of her celebrity crush Joseph Gordon-Levitt.